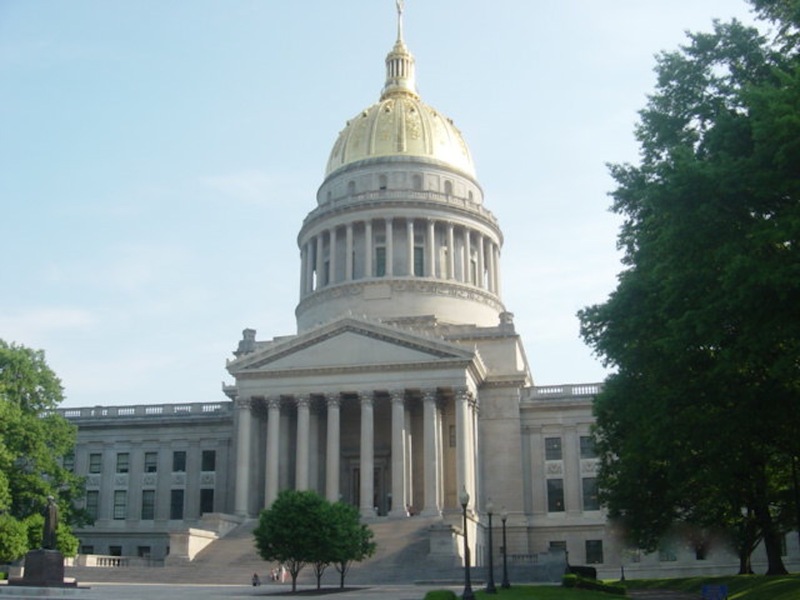 Annie sings “Holy Spirit, Thou Art Welcome” in WV State Capitol Building! 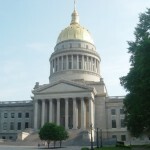 At this year’s National Day of Prayer service held on May 1st at West Virginia’ s state capitol building in Charleston, WV, Annie’s voice filled the entire building. Alice Click, Annie’s sister who lives in the state, arranged for the playing of Annie’s version of the song, “Holy Spirit, Thou Art Welcome.” What an honor for a native West Virginian and what an important and timely prayer that was prayed in the hall’s of the capitol of our home state. The song is included in this post and no payment is required for the download. May this prayer be answered as you sing along. 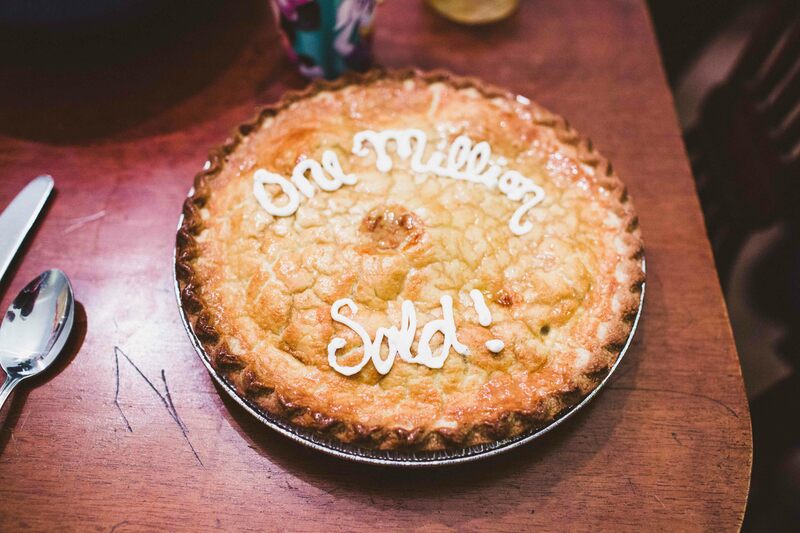 One Million Sold! Milestone for Steve!!! 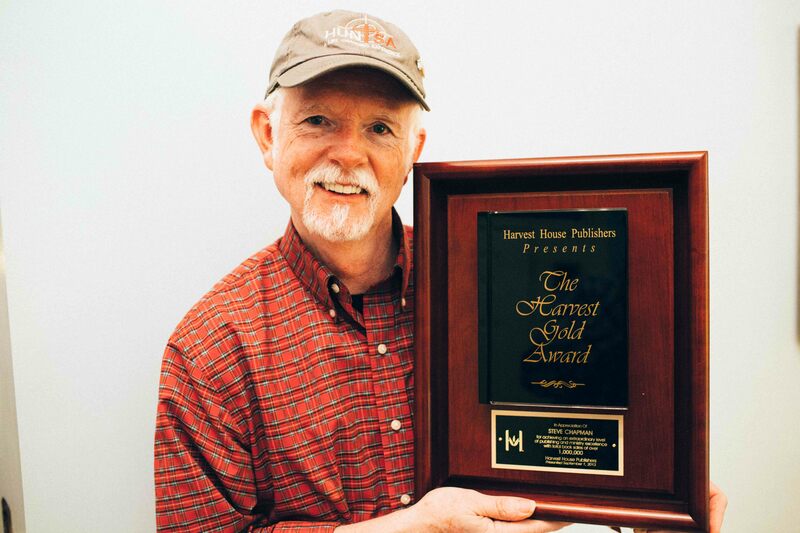 I’m excited to announce that our publisher, Harvest House Publishers in Eugene, Oregon has presented Steve with their “Harvest Gold Award.” The beautiful plaque he is holding in the picture represents over 1 million of his books that were sold (1,070,000 to be exact as of 2/25/14). Only a handful of writers with the company have received this prestigious award since they were founded in 1974. 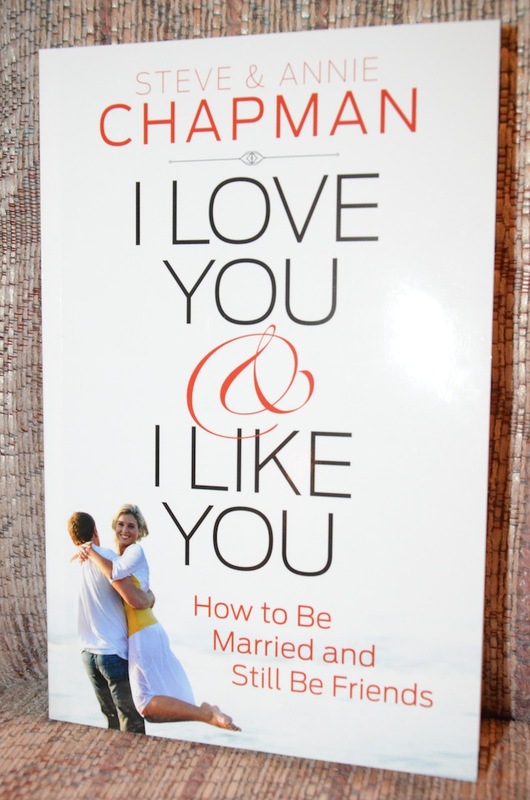 Thanks to Debbie for an enjoyable interview that we are sure will be helpful to couples especially during this upcoming Valentines season! We hope you’ll tune in. My passion is to provide women (and all people) with the wisdom, encouragement, and hope I’ve discovered for myself in God’s Word. 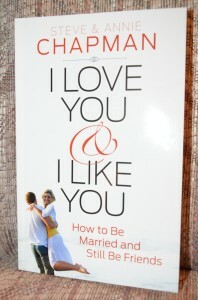 I especially love to provide nuggets of Bible wisdom to wives who are struggling with serious challenges in their marriages. SO MANY marriages have been completely transformed when wives begin to truly understand and apply God’s principles found in the Bible! 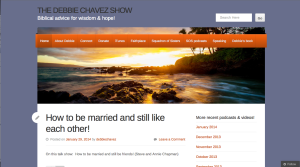 I invite you to listen to my daily podcasts, in which I interview top Christian authors, experienced Christian therapists, and renowned pastors. They will inspire you and guide you with Biblical wisdom! 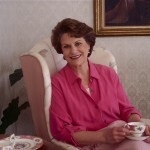 And, please take advantage of my daily 2-3 minute youtube videos devoted to encouraging and counseling wives. By the way, I’m a pastor’s wife with a 32 year background in talk radio. I also lead the dynamic wives’ ministry called Squadron of Sisters. 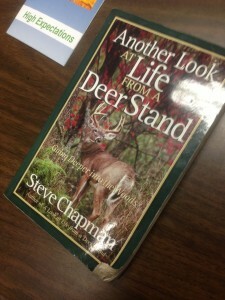 Check out the free resources available to you at http://www.squadronofsisters.com. A lot of our friends may not be aware that in the mid and late 1970’s we were part of a Christian music group called, Dogwood. It started as a trio consisting of the two of us and a long-time friend from West Virginia named Ron Elder. We started as the “house band” at Koinonia Coffehouse located on Music Row in Nashville. The photo to the left shows us on stage at Koinonia. For two years we provided live music at the coffeehouse and the invitations started coming to travel to other cities and sing. 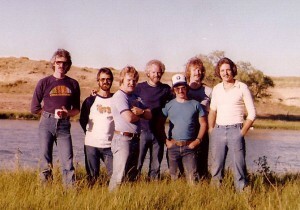 in a photo taken while we were traveling through Wyoming in 1979. 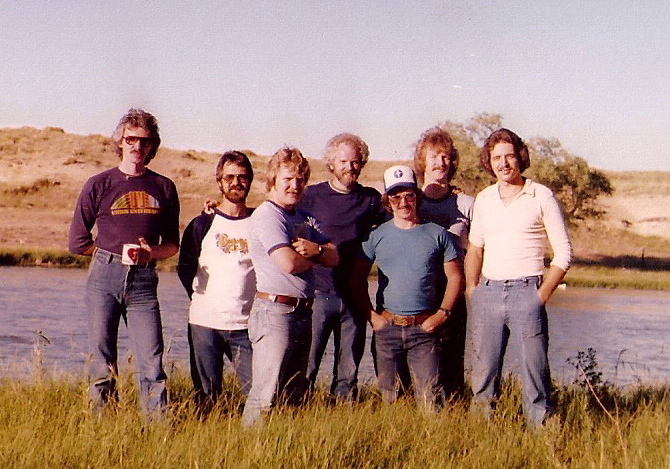 Left to right are Stan Armour (keyboards), Ken Fletcher (bass/harmonies), Ron Elder (acoustic/lead vocals), yours curly, Mike Upshaw (sound engineer), David Crockett (electric guitar), Mark Smith (drums). Dogwood continued to travel for the next couple of years and during that time the configuration of the group was reduced in size to a trio. Ken Fletcher (second from the left) stayed with Ron and me, as well as Mike Upshaw. In late 1979, as painful as it was, I felt it was time to cease traveling so much and being away from Annie and our son. We were also expecting with our second child so it seemed the right time to make an exit from the group. 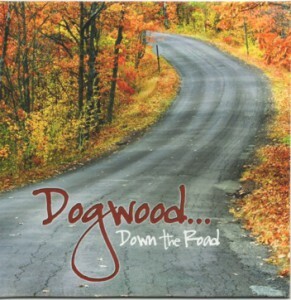 With four recordings in our history, Dogwood was considered to be one of the pioneer groups in Contemporary Christian Music. I’m most grateful to have been a part of it and though I was convinced that it was good that Annie and I begin working together as a duet, I missed the group and the music we made. It was an exciting phone call to receive from our friend, Al Jaynes, and asked if Dogwood could be a part of the Koinonia Family Reunion. Al was in leadership at the church we attended (Belmont Church in Nashville) and was hungry to hear the music that was heard so often at Koinonia Coffehouse that was across the street from the church. Ron agreed to participate and Annie convinced us to perform at the reunion in Dogwood’s final configuration which included Ken Fletcher. As it turned out, though we all wanted Annie to be on stage with us, the night of the event she had absolutely no voice due to a severe case of laryngitis. Ken Fletcher, Ron and I rehearsed for the event and when our son and Nashville music producer, Nathan, heard the music he had grown up hearing he affectionately suggested that we take our rehearsal into a studio and let him record it. We agreed to do so and the recording, that we titled, “Dogwood…Down The Road,” became a souvenir disc for those who attended the reunion. Thankfully, our friend, Brian Mason, who assisted Al Jaynes with the planning of the reunion concert, made sure the event was filmed. The result was several of the songs landing on You Tube for folks to see. One of those clips is included here. 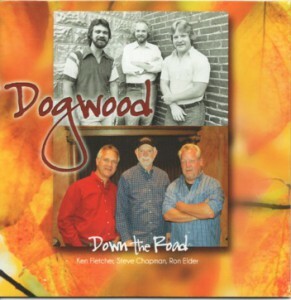 If you would like to get a copy of the newly covered and released recording of the Dogwood…Down The Road CD it is now in our store here at this website in the music section or you can click on the front cover photo here to get there. “Unspoken Request” goes #1 on the charts! To our friends who are fans of Southern Gospel Music, I have some exciting news. 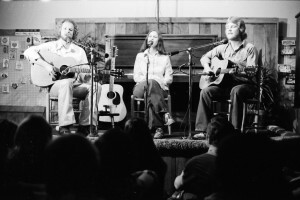 Two of Steve’s songs, “Finish Well,” and, “Unspoken Request” were recorded by The McKameys on their latest CD, Precious Seed. I am happy to report that “Unspoken Request” has gone to #1 on the Singing News chart. Not only did the song reach #1, it did so in unusually quick fashion. It entered at #25, jumped to #9 and then went to #1. We are so grateful to The McKameys for recording the songs, not just because they are one of Southern Gospel’s premier groups but also because they are first class folks who are greatly respected. 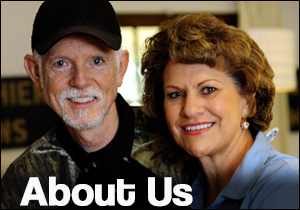 Also, if you have a Southern Gospel radio station in your area, please call and request “Unspoken Request.” And… if The McKameys are in your area, we encourage you to go see and hear them. Their ministry is exceptional. Thanks for celebrating this songwriting milestone with us!